I remember when the world grieved over the death of Pope John Paul II six years ago. I can easily look back at that morning when I woke up at 4am just to watch his funeral. Even though I couldn’t hold the tears back, my heart still rejoiced because we were celebrating the life of a Servant of God who changed the world. The millions in St. Peter’s Square cried out, “Santo Subito!” And now, six years later, we celebrate his life once again in a very special way. He is one step closer to sainthood. 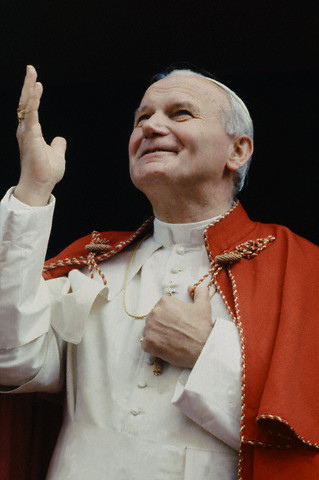 Thank you, Blessed John Paul II, for changing my life… most especially for helping me understand and love our Blessed Mother Mary so much more. You, indeed, are BLESSED. There is no better day to celebrate this occasion than today. I rejoice with the world again.